The storm has blown by overnight, and here is one of the snow banks it formed. 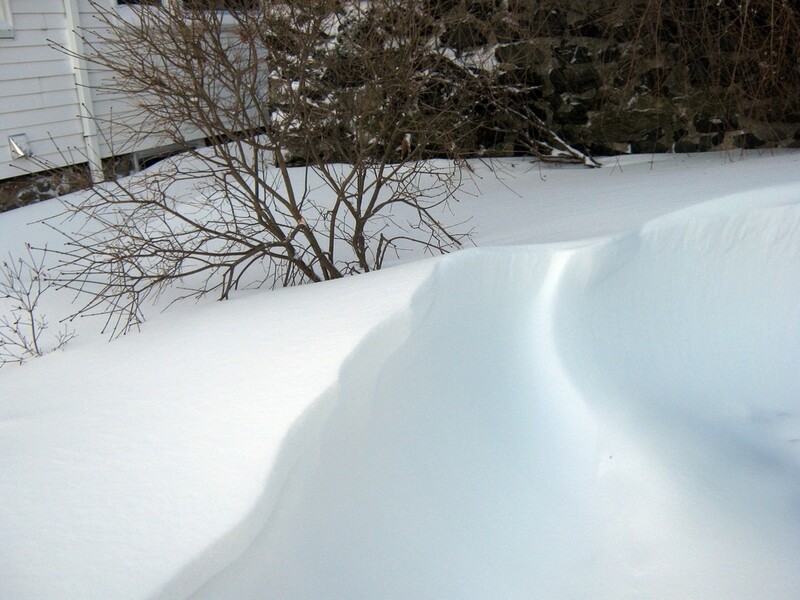 I love the shapse the snow can form, sweeping crests and overhanging waves. It amazes me how firmly those shapes stay put. And I love it even more when those snow banks form in the right places.